Tangled and True: volume 25. Do you ever go through a slump? I feel like like lately I have been in a slump. Saturday night I listened to some very inspiring speakers and have been slowly trying to pull myself out. 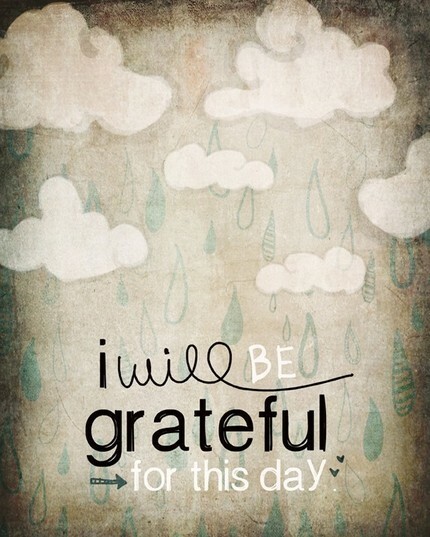 I think this poster would be the perfect reminder to be grateful every day for so many things. 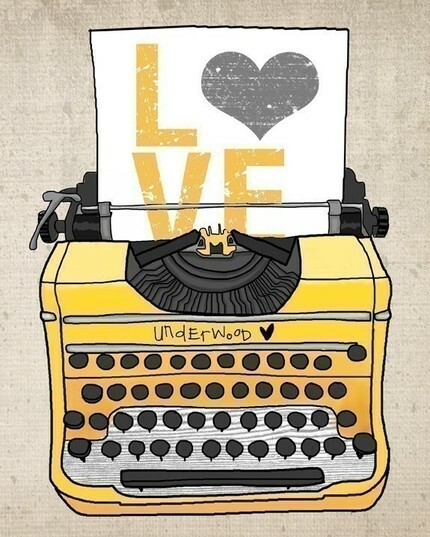 I love old typewriters and I love yellow, so this also made my list. The whole volume 25 etsy shop is a fun one. All kinds of great posters. I'm hoping to add one to my home in the near future. Hi there! I was just reading your about you section and I smiled when you mentioned the Rocky mountains. I lived in Highlands Ranch for 4 years before moving overseas. In fact just this weekend we had friends visiting us from Colorado. I have been in a slump lately too! But for me I think it's just hormonal, lol! I like the posters you posted, they are very cute. :) Hope you get out of your downer soon!